In Australia, 71% of consumers are now using mobile devices for online transactions because it’s fast, easy, and convenient. So it’s increasingly important for retailers to build an omni-channel strategy that gives customers a seamless experience across all sales channels—including mobile. One of the best ways to create that seamless experience is with a mobile app. While responsive design enhances a website’s usability on a small screen, only a native app can take advantage of a phone or tablet’s full feature set. That’s probably why apps now account for 89% of the time people spend viewing media on mobile devices, and why 53% of smartphone and tablet owners will shop on company-specific apps downloaded from an app store. A brand-specific shopping app can give your customers the sort of experience they’ve come to expect from your brand, while providing you with the customer information you need to tailor your marketing promotions. It can be an all-round sales, marketing, and loyalty platform to empower your ecommerce customers. And by giving your customers a unique place to shop, you’ll help them avoid the distractions they’d get in a marketplace app, and earn their full attention. But if you want your branded ecommerce app to boost your bottom line, you’ll need to make sure your customers know where to find it, what it can do, and why it’s a great way to shop. Here is our four-step process to get you started. A branded mobile app is an investment in a new sales channel for your business, just like your ecommerce platform or your bricks-and-mortar store. And like any other channel, you need to help your customers find it, with a mobile app launch strategy that lays out how you will reach your target users. Don’t leave your customers in the dark! Feature your new app prominently on your webpage, with links to the app stores. (But don’t let it dominate the page—your products should always be your main focus!) As you’re looking for mobile users, make sure that anyone accessing your web store from a mobile device is presented with an option to install the app instead. And don’t forget to announce your new app to your social media fans and followers, and your email list subscribers. Some customers will look for your app directly in the store as well, so give consideration to your app name (or title), keywords, and description. Don’t be cryptic—the words you write here can make all the difference in encouraging your customers to install the app. You don’t really get a lot of time (or space!) to persuade customers that they want your app, so use it wisely! Only 2% of app store users open the full app description before they decide to download or navigate away, so make the most of the text above-the-fold—those first three or so lines—to really sell the key features of your app. Describe the main purpose of your app—to browse, search, and shop for your best or newest items—but also add a compelling reason, such as access to pre-release items or special in-app discounts. Support your text with high-quality images that demonstrate the app’s functionality. Mobile users also check customer ratings and reviews before downloading apps, so you’ll want to encourage your customers to leave reviews on the app store. Many businesses do this by prompting within the app, or by sending email requests to leave a review. As soon as someone downloads your app, even if they never use it, you’ve increased your brand awareness. Because every time they scroll through their apps, they’re going to see your name and your app logo, right there on their screen. Customers expect more from a mobile app than just a bundled up website. The mobile app is your opportunity as a retailer to make the best possible use of your customers’ small-screen real estate and simplify your navigation. To avoid overwhelming your customers, don’t list every single item in your mobile store—no one wants to scroll through thousands of items! Instead, focus your app on a particular subset of your products, such as your newest items, top sellers, or clearance rack. deliver tailored promotions and information using push notifications. 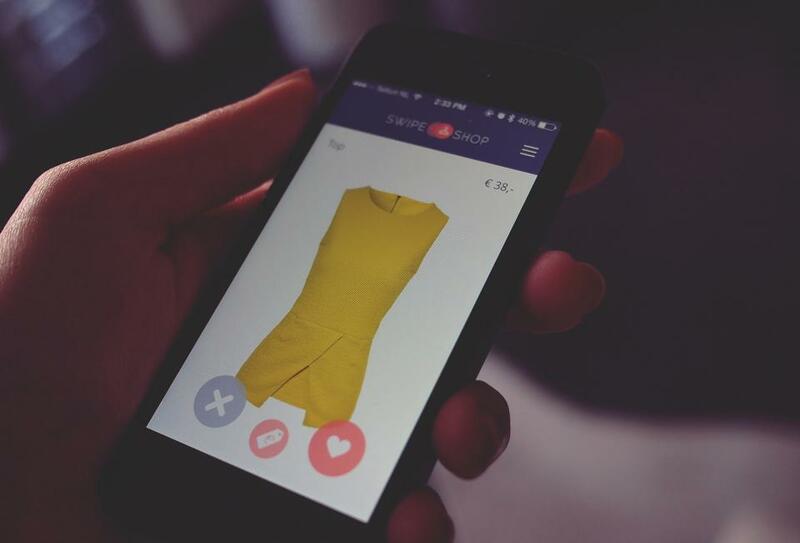 If apps aren’t “useful, usable, and best-in-class”, modern shoppers will delete or ignore them. To stay relevant, ensure you’re always providing up-to-date product information—something that’s easy if your app is part of your omni-channel sales platform. Use push notifications to let your mobile shoppers know when a new product line has been added to the store, offer discounts for repeat shoppers (and their friends! ), and maintain the conversation with after-sales care for your valued customers. At this point, you’ve probably realised that a branded mobile app could be a very effective way to reach more customers and boost the bottom line for your ecommerce store. Now all you need to do is create and distribute your app. There’s the catch! Developing a mobile app from scratch can be costly and time-consuming, especially if you’re handling in-app payments and personal information, which need to meet compliance requirements. But it doesn’t need to be this way. If you’re with Neto, you’ll soon be able to create an elegant mobile application with just a click of a button, on Neto’s ecommerce site. Neto’s Mobile App gives you the benefits of a native iOS or Android app as an add-on to your omni-channel retail management platform. With a beautiful interface built for shopping, it will match your website perfectly, and all your business details and product information are sourced from your ecommerce store. With the Neto Mobile App, you’ll be able to take advantage of an additional sales channel that creates a seamless online shopping experience for your customers—at a fraction of the price of a custom app build. What are you waiting for? Neto is the only Australian retail management platform that provides a complete solution for ecommerce, point of sale, inventory, and fulfilment. Our integrated back-end technology enables exceptional and consistent customer experiences via any channel, be it in-store, online or through a marketplace. We automate repetitive tasks and integrate with multiple sales channels to manage orders and shipments. And very soon, we’ll be launching our mobile app, giving retailers another simple-to-set-up sales channel. Check out our free guide to learn how you, too, can sell everywhere.